In recent discussions with the Australian Wooden Boat Festival Director Paul Cullen, the start line for a new event, the 250m St Ayles Skiff Sprint, has been confirmed. To be set off Princes Wharf, it should prove to be an enthralling event that will entice a crowd for the skiff-on-skiff rowing battle of almost 100 seconds to the finish line. For under two frenetic minutes the crews will show their strength, teamwork and focused skills that will undoubtedly thrill spectators and challenge participants. It is an event that any team - four rowers and a cox - can join. The 250m sprint will highlight the enjoyment that comes with involvement in community rowing of St Ayles Skiffs, an activity that started in Scotland and is growing worldwide. 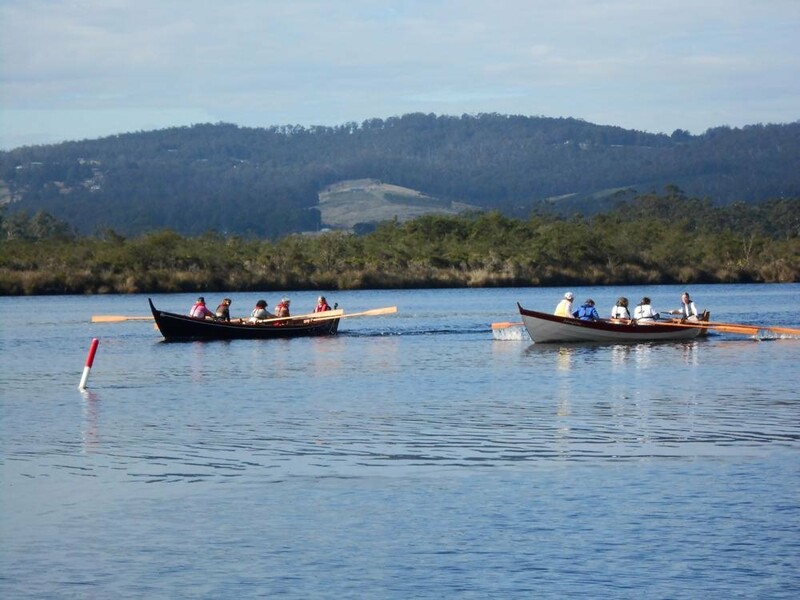 The sprint is part of an inaugural St Ayles Skiff festival that moves from the Australian Wooden Boat Festival in Hobart to the Hobart Regatta at the Domain, to Franklin in the Huon Valley for a fullscale International Regatta until February 15.